Photo: Creenlawn, ca. 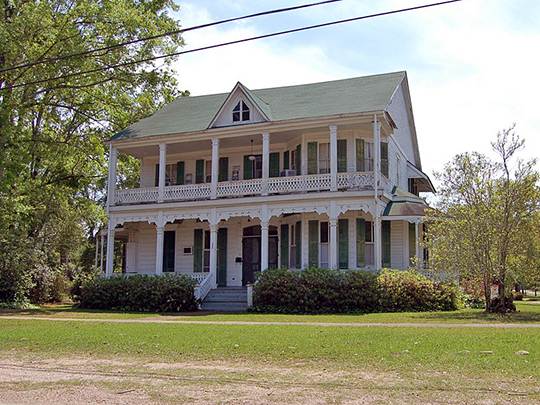 1885, 200 East Chestnut Street, Amite City, LA. Listed on the National Register of Historic Places in 1980. Photographed by User:Z28scrambler (own work), 2005, [cc-by-3.0 (creativecommons.org/licenses/by/3.0)], via Wikimedia Commons, accessed January, 2014. Tangipahoa Parish administrative offices are located at 206 East Mulberry Street, Amite City, LA 70422; phone: 985-748-3211. Tangipahoa Parish was established in 1868 from parts of Livingston, St. Helena, St. Tammany and Washington parishes.